I've been a huge fanatic of Dior since I was a little girl. I remember saving up to purchase my first bottle of Miss Dior fragrance at 18. It's a dream come true to be able to work with a brand i've loved so much since I was a teen. 19 years after the creation of J'adore, a brand new fragrance, Joy by Dior is born. This is the first fragrance created by the house in 19 years. Joy is a soft blend of sandalwood with a hint of jasmine and rose. François Demachy wanted to create a scent marked by softeness as well as by energy. He described his creation as a breath of air which would carry one away. 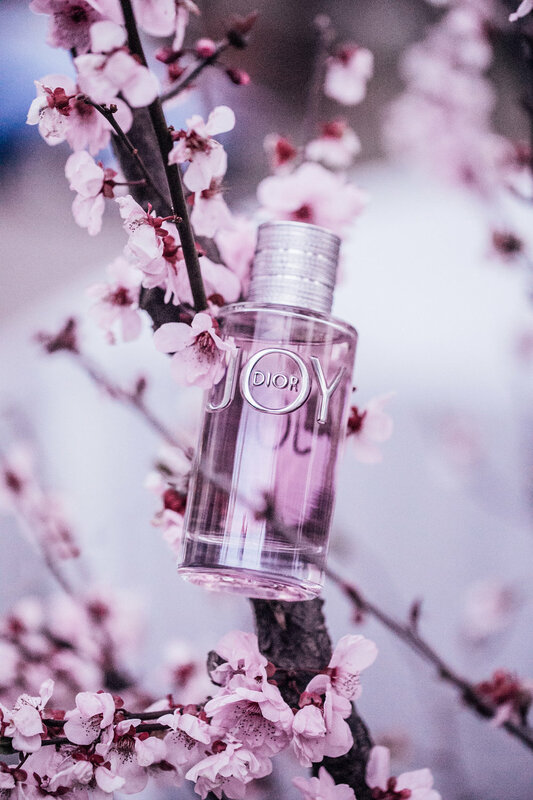 The new Joy by Dior fragrance is clear and generous. A tribute to pleasure and happiness the fragrance is inspired by the vibrant smile of flowers and citrus fruits.